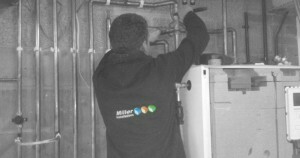 Miller Installations offer a full range of Plumbing, Heating and Renewable Energy Services for existing and new build properties. So whether its an existing bungalow or a new housing development you can be safe in the knowledge that Miller Installations has the experience to provide you with a first class installation from a qualified team of engineers. Just give us a call on 01692 218040 or email us at info@millerinstallations.com and we can discuss your project or problem. We can then arrange for an engineer to come out and see you at a time that is convenient for you.